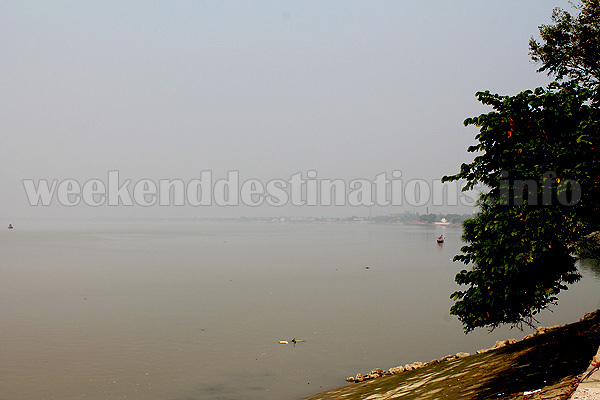 Places to see in Raypur Budge Budge: The main attraction of Raypur is the mighty Ganges River. Here, the river takes a bend and gives a panoramic view of the horizon. You would also find a pier sticking out to the river to moor ships and boats. A water-treatment plant, the riverside road, the surrounding villages and local tea shops filled with gossiping folks gives a perfect ambience to idle away your day. Nearby attractions of Raypur Budge Budge: You can take a ferry ride to the other side of the river to Uluberia. There is a local Radhakrishna Temple where you can visit in the evenings. One of the largest water treatment plants is also located nearby. 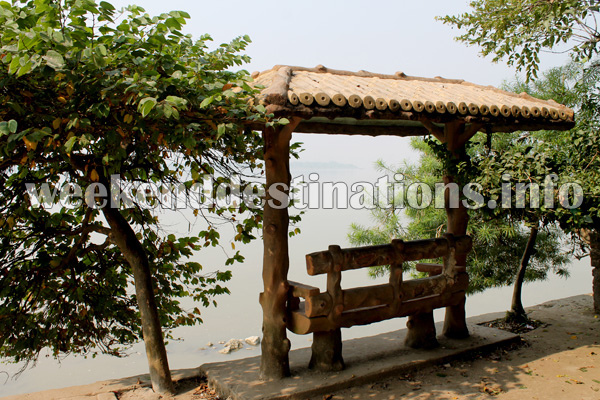 The local Panchayat has also beautified a children’s park beside the river, where you can sit in the Ghat or on quay and watch the boats passing by. Things to do in Raypur Budge Budge: You can take a village walk in the nearby villages to witness farmers ploughing their fields, local shopkeeper selling groceries and fisherman casting their nets. 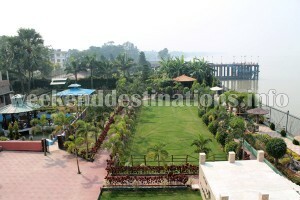 You can take a long walk along the riverside and visit the local temple during evening Aarti. However, the best thing to do at Raypur is to sit beside the mighty Ganges and witness its changing colours, the passing boats. How to reach Raypur Budge Budge: Raypur is around 35 kms from Kolkata near Budge Budge. It is well connected by railways as well as public bus services. If you are going by train, then the most suitable Railway Station would be Budge Budge. From Budge Budge, you can take any local shared vehicle like auto rickshaws to Birlapur and then to Raypur. There are few bus services which directly go to Raypur from Babughat. 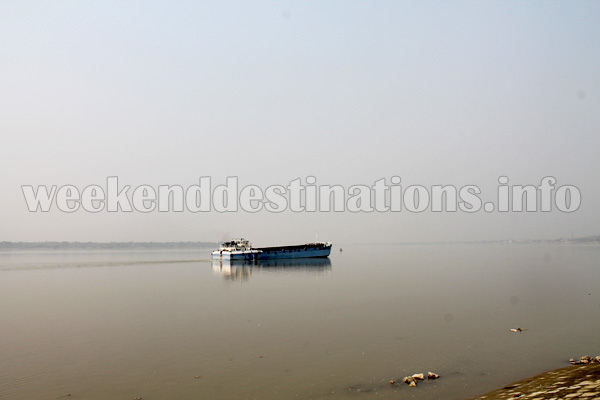 Best time to visit Raypur Budge Budge: Raypur can be visited anytime of the year. The monsoons bring in the rolling dark clouds across the river’s horizon, the winters bring sparkling weather and the summers are washed with cool river winds giving Raypur relief from the scorching heat. 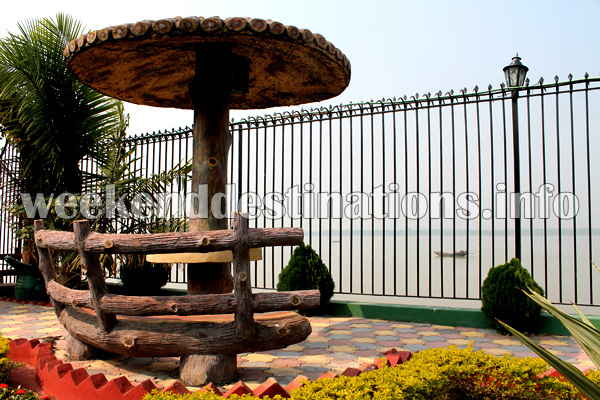 Lodging and dining facilities at Raypur: You can stay overnight, take a day trip or organize a picnic at Raypur. 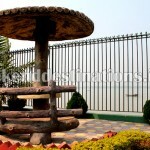 The resort has all the facilities for supporting corporate picnics, family getaways and individual nature lovers. The spacious Double Bed and Four bed AC and non AC rooms of the resort have attached western bathrooms, television and great views of the river. The resort at Raypur are well equipped with gazebos on water, banquet halls, children’s park, lawns, multi-cuisine restaurant, spacious dining halls, landscaped gardens and parking lots. The resort is available for day picnic groups as well as for individual guests who want to stay overnight.